Rep. Keith Ellison (D-MN) speaks during a news conference in front of the Capitol February 1, 2017, on Capitol Hill in Washington, D.C. 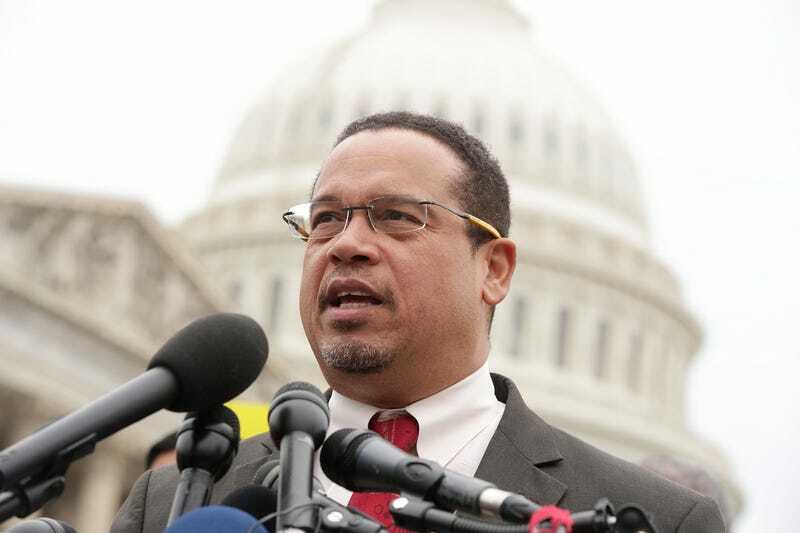 Embattled Congressman Keith Ellison overcame claims of domestic abuse to win the Democratic-Farmer-Labor Party’s nomination for Minnesota attorney general, CNN said Tuesday. Ellison was an early favorite for the position when allegations of violence surfaced. The deputy chairman of the Democratic National Committee was accused of physically and emotionally abusing his ex-girlfriend, Karen Monahan. The most damaging claims came from Monahan’s son, Austin Monahan, who claimed in a Facebook post that he saw several verbally abusive text messages sent from Ellison to his mother. Austin also alleged that he’d seen video of Ellison dragging his mother from a bed while cursing at her. Karen Monahan confirmed her son’s account of events and issued a lengthy statement detailing a history of emotional and physical abuse she claims to have suffered during her relationship with the Minnesota Democrat. Her entire statement can be read here. Monahan spoke to CNN but refused to share the reported video with the news station. Ellison’s victory on Tuesday clears the way for leading “Democratic opposition to Trump on some battles—including Trump’s executive order banning travel from some Muslim-majority nations,” as many attorney generals have done, CNN reports.